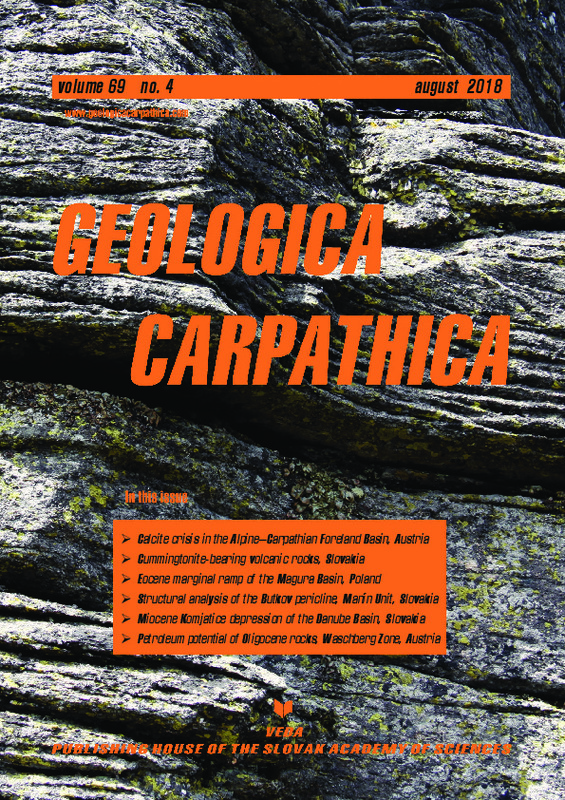 Abstract: Within the Lower Austrian part of the North Alpine Foreland Basin (NAFB), up to 1000 m of sediments were deposited throughout the Ottnangian (Early Miocene, Burdigalian). According to homogeneous compositions and sparse biostratigraphic resolution, a consistent stratigraphic concept from the basin margins into the foreland depocenter was still lacking. New investigations on several deep drill cores throughout the basin provide comprehensive sedimentological, mineralogical, chemical and micropaleontological data. A calcite poor, fossil- and pyrite-free, smectite-rich, up to 800 m thick interval was identified and correlated to the time interval of the late Ottnangian brackish Rzehakia Lake System. For this section, we introduce the term Calcite Minimum Interval (CMI). We define the onset of the CMI by a sharp decrease of calcite contents and the disappearance of autochthonous (and reworked) calcareous nannofossils. We define the termination of the CMI by the permanent increase of pyrite contents and the reappearance of calcareous nannofossils. The CMI as a litho- and chemostratigraphical marker for the Rzehakia Lake System constitutes a stratigraphic key horizon. Within the NAFB in Lower Austria, its onset corresponds to the middle/upper Ottnangian transition while its termination correlates roughly to the Ottnangian / Karpatian boundary. This allows a precise definition, identification and correlation of (upper) Ottnangian stratigraphic units of the NAFB. For the central basinal parts of the Rzehakia Lake System, we introduce the new lithostratigraphic term Wildendürnbach Formation which correlates to the marginal Traisen Formation.